Volleyball Uniforms and Warm ups on Sale. Volleyball jerseys & warm ups are 25% off, in stock and can ship today. Shop4teams is your #1 source for custom volleyball uniforms and the customized volleyball apparel your team needs to stand out from the competition. When your volleyball team takes to the court, no matter how important the game is, you want them to look their very best. You want them to feel like champions, so let them. 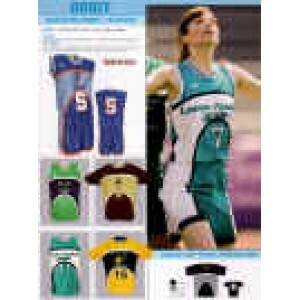 Give them incredible volleyball uniforms that embody their competitive essence. No matter how many teams show up to the tournament, you will always notice the uniforms from Shop4teams. Our work stands out. Our customized volleyball uniforms are worn by teams all across the country, because teams that want the best know they must come to the best. The very best in volleyball gear can be found right here in our online catalog. We feature hundreds of items from the top names in the industry. You will not find second rate uniforms in our inventory because that’s not what champions want to wear. Our personalized volleyball warm-ups are made with top notch pants and jackets from brands like Holloway and Augusta. Browse through our large selection of volleyball shorts and you will find dozens of styles from Teamworks and High Five. And we aren’t just looking to make the volleyball players look good, we have dozens of stylish volleyball coaches shirts that will give you confidence and an authoritative appearance you need to command attention on the sidelines. We have risen to the forefront of the industry because our custom volleyball uniforms are inspired by more creative designs and are made with innovative garments from the top names in the sporting apparel industry. The best athletes deserve to wear the best uniforms, and that is all you will find in our inventory. So contact us today. Let our customer service team help you create a uniform your team will be proud to wear. When you need customized volleyball uniforms that reflect the competitive spirit of your team, uniforms that express the tireless energy of your players, then look no further than Shop4teams. Size chart 90% Comfort. Cotton/10% Spandex. 5" Inseam. Covered elastic waistband. ..
Easy team uniform ordering! Additional Colors Available. Team Customization is available..